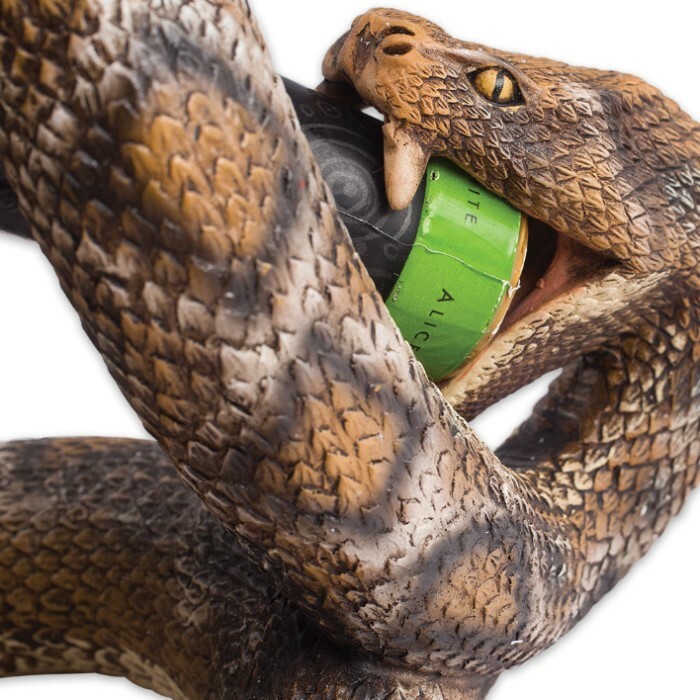 Rattlesnake Wine Bottle Holder | BUDK.com - Knives & Swords At The Lowest Prices! 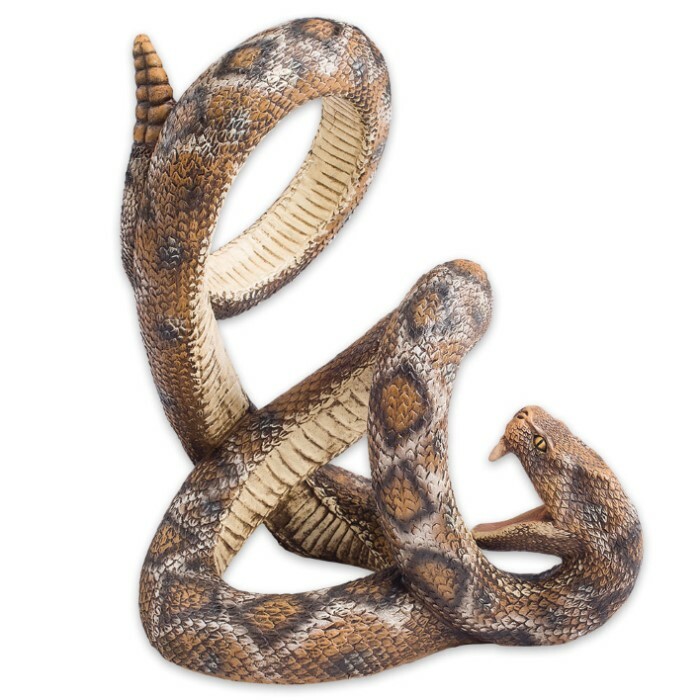 Our Rattlesnake Wine Bottle Holder will be a striking addition to your home or cabin. 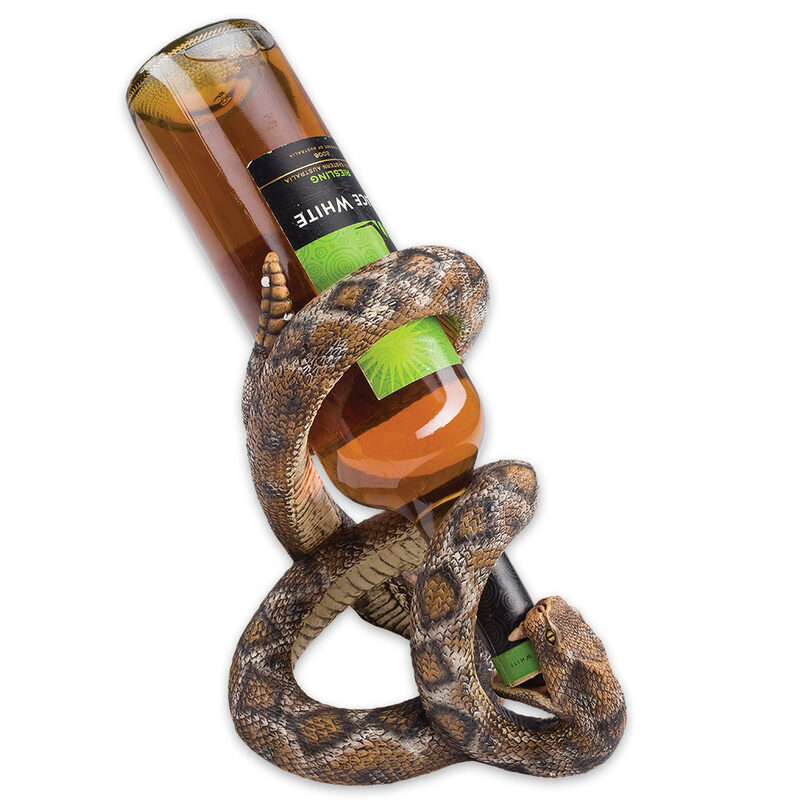 It features a highly-detailed, looking rattlesnake designed to hold a bottle of wine at just the right angle. The holder is constructed of durable polyresin and is 9 1/2”x6 3/10”x8 2/5” overall.